Independent study. Acceptable learning activities may include independent study as defined in paragraph (a)(2) of this section. A licensee who completes independent study to meet the mandatory continuing competency requirement shall prepare a narrative account of what was learned and an overall written evaluation of the learning activity. Such licensee shall maintain a copy of the narrative account and written evaluation for six years after completion of this learning activity. 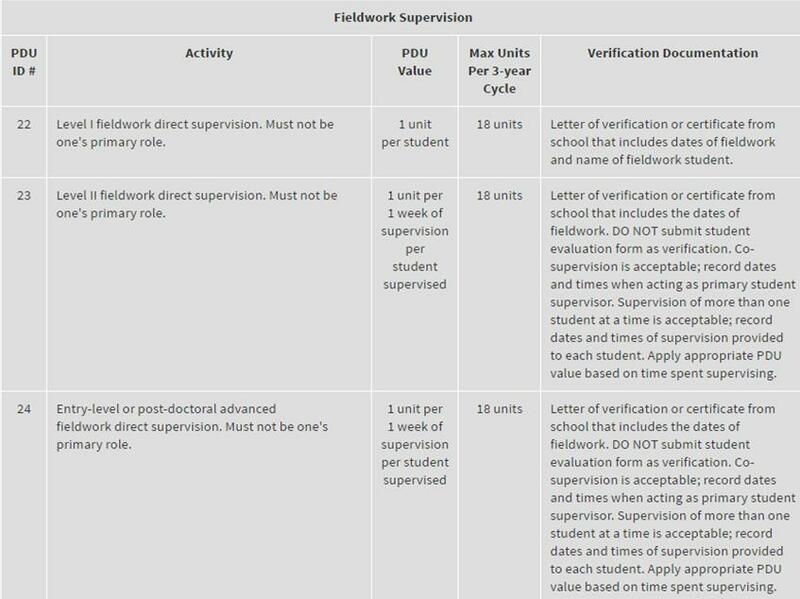 Study in conjunction with supervision of fieldwork education conducted as part of a program of study as set forth in section 76.1 or 76.7(b) of this Part or in conjunction with supervised experience conducted pursuant to section 76.2 of this Part may be considered independent study. A licensee who completes study in conjunction with such fieldwork supervision or supervised experience shall prepare and retain a narrative account of the preparation associated with the supervision in addition to the other requirements of this clause, and shall retain a letter of verification or certificate from the program that includes the dates of fieldwork. Three clock hours of independent study shall equal one continuing competency hour. No more than one-third of the mandatory continuing competency requirement may be completed through independent study.